‘Tis the season to be jolly and what a better way to do that than with your look from head to toe. 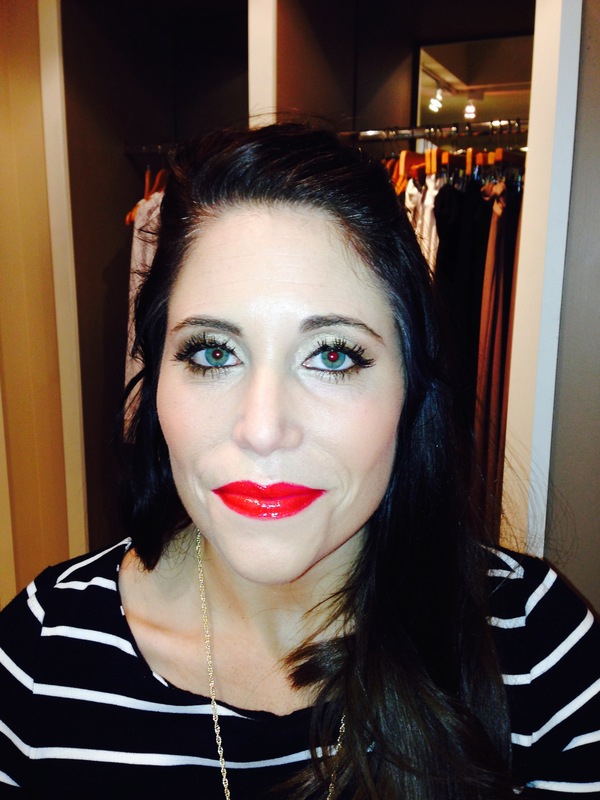 Nothing says holiday cheer like a bold red lip, pink cheeks or smokey eyes. The look I am describing is a no brainier dolls. Gather all your makeup goodies together and lay it all out. Then dig out those sparkly lip glosses and glittery eye shadows and have some fun! Play around with blending shadows and ombré lips. Don’t be afraid to be dramatic with eye liner and contour pencil. Love who you are but the holidays are a great excuse to step out of your everyday natural looks and to make a bolder statement. The beauty of makeup is that it’s temporary and you can simply wash it off any time. 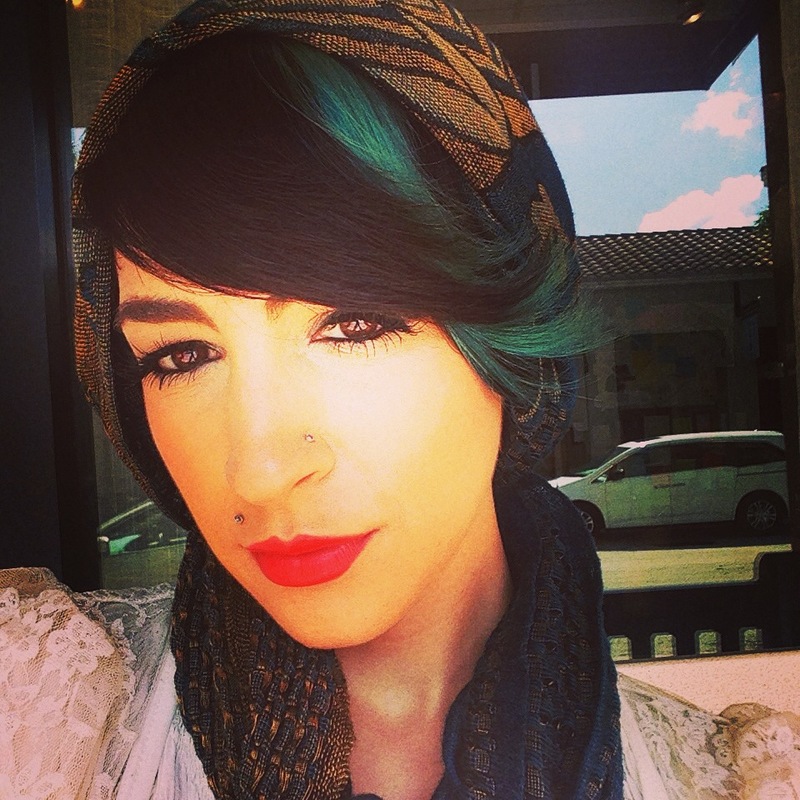 Create any look your heart desires; Have fun and be bold! Step 1) pick out 3 colors of eyeshadow a base color, crease color, and a brow highlighter. Then use a black liquid liner to do a cat eyed look. Step 2) pick a pretty red, pink, or coral lip color with matching liner. Top with a sparkly gloss. Step 3) use medium to build able foundation coverage. Step 4) set your foundation with a sheer powder by dusting it on. Step 5) bring out your beautiful cheek bones with a plum or peachy blush. You can add a golden bronzer to contour with. There you have it ladies! 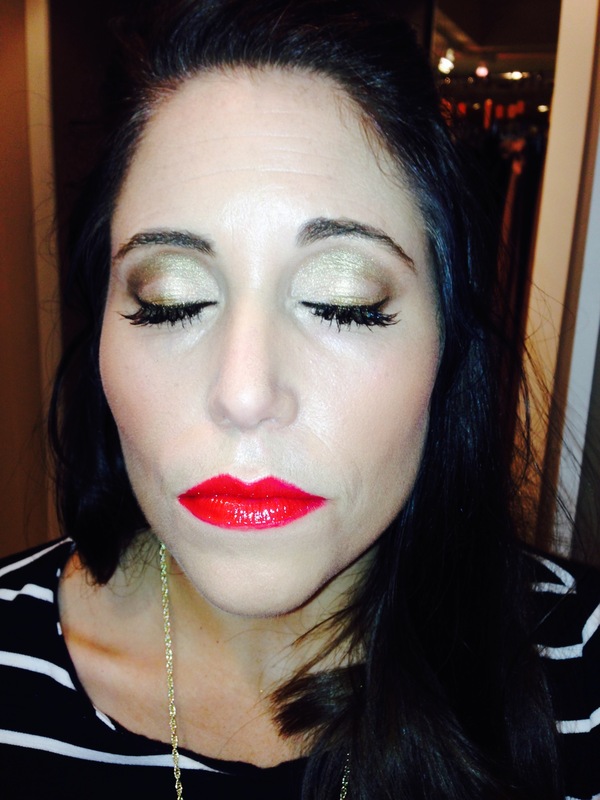 A gorgeous holiday look to paint the town red with! Whats your favorite make up to wear during the holidays? Do you need make up or beauty advice? Contact ladyspaspa@gmail.com and Alyson, Professional Makeup Artist may just focus her next article on your question. To learn more about Alyson’s services visit her website at alysonsichenzia.com or email her at alysonsichenzia1@yahoo.com. It’s that time of year when many women get hitched! Makeup is a huge part of the wedding day. 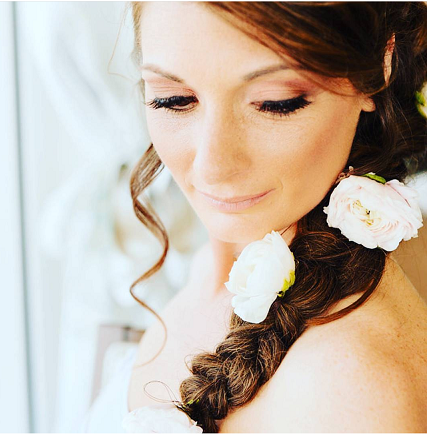 LUKA cosmetics is providing the makeup and application for weddings around south Florida this season. From airbrushed, flawless makeup to free hand high-definition makeup, we do it all. Choose from two convenient locations: PGA National Resort and Spa where you can enjoy some pampering, full nail care services and full service salon in addition to getting the bridal party makeup ready.. Or at the Downtown at the Gardens locale LUKA cosmetics offers a special VIP room where bridal parties feel right at home. Sit back, relax and be pampered while drinking a Bellini or mimosa! LUKA cosmetics is not only an all natural, organic and hypoallergenic skin care makeup, they provide great makeup artistry, a beautiful ambiance and tender, loving care from expert beauty professionals like me, Alyson Sichenzia. Put your worries to rest gals either experience will be the best makeup experience for you! 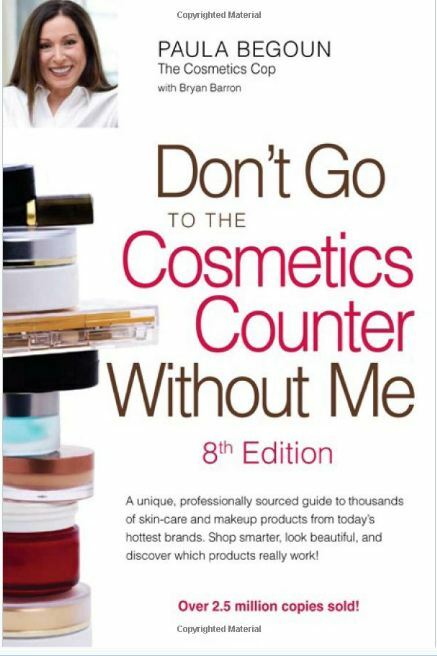 There is a book called “Do Not Go to the Cosmetics Counter Without Me” byPaula Begoun. Have you heard about it? Well, if you haven’t it truly is a makeup bible! You can find this book at most Barnes and Nobles. When I heard about this book I knew I had to own it. Being a makeup artist I always want to be aware of what’s in all the products I use on my body and face or am looking to purchase, especially since most products don’t do what they are supposed to or promise to do! Working as a makeup artist for MAC for two years and now for Luka cosmetics has showed me a thing or two about product knowledge! For women who want to look beautiful and save money, this book helps them make wise cosmetic and skin-care decisions. This book helps women find products that make them look great without spending a fortune. Know your stuff! Know what’s in the products you use. Being aware is important as some products may not be so great for you and you only have one body! When I do make up applications on my clients I make sure I share with them the ingredients, benefits, and advantages of the products. I listen to what they want and not what I want to apply on them! At the end of the day most of my clients want healthy good-for-you products that last and have a multiple purpose. This allows consumers to get the most bang for their buck. 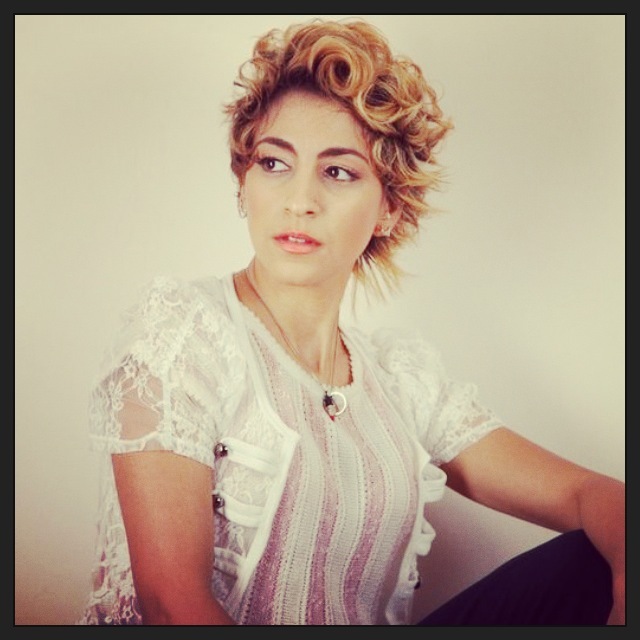 Thanks for reading… Be sure to stop by Luka Cosmetics Make Up and Lash Bar. Get your makeup done with me at the Spa at PGA National located in Palm Beach Gardens, Florida where I am the resident make up artist on site.